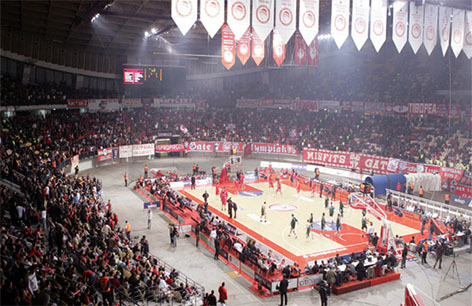 Home » Olympiacos Piraeus B.C. The basketball club of the Olympiacos CFP sport club formed in 1931 and since then they have been one of the most successful Greek basketball teams and have also had an impact on the European game. With a total of 11 Greek Championships, 9 Greek Cups, 3 Euroleague titles and an Intercontinental Cup, Olympiacos have a history that is the envy of many basketball clubs around the world. The club was also recognised as the European Team of the 1990s by FIBA, an accolade achieved by their consistent success domestically and a triumph in Europe. For most of the clubs history, league titles have been sporadic and well-spaced. The first league win came back in 1948/49 with the second title triumph coming in 1959/60. The mid-to-late 70s was a more impressive period, with title triumphs in both 1975/76 and 1977/78 but it was the early 1990s that would be the most impressive time in Olympiacos history, at least until now. The club won their league in 1992/93, 1993/94, 1994/95, 1995/95 and 1996/97 for five league triumphs in a row. Since then, the club has managed to win the league in 2011/12 and in 2014/15. The Greek Cup was a source of joy in the late 70s for Olympiacos with the club winning the trophy in 1975/76, 1976/77, 1977/78 and in 1979/80. The club also won the Greek Cup twice in the 90s, in 1993/94 and in 1996/97 while the club has also won the cup in 2001/02, 2009/10 and in 2010/11. These 9 cup triumphs have played a significant role in the 4 double winning seasons the club has enjoyed. 1975/76, 1976/77, 1993/94 and 1996/96 saw Olympiacos reign as top dog in Greek basketball. The team has tasted success in European Championship finals, winning in 1996–97, 2011–12 and in 2012–13. While all three of these Euroleague triumphs are celebrated by Olympiacos fans, it is fair to say that the 2011/12 triumph against CSKA Moscow is the one that is most fondly remembered. Such was the thrilling nature of the game and the late drama, it is a game regularly cited by basketball fans all across the world, not just in Greece, as one of the most dramatic and exciting Euroleague finals ever. Olympiacos were trailing by 19 points in the third quarter but after an amazing fightback, a shot from Georgios Printezis put the Greeks ahead with just 0.7 seconds of the game left to go. Kostas Papanikolaou grabbed 18 points in the win, Vassilis Spanoulis provided 15 points and the match-winner Printezis grabbed 12 points in the triumph. The CSKA Moscow lead in the third quarter was 53-34 but a 14 point scoring run hauled the Greek side back into contention and the score remained close to the end of the game. With less than ten seconds on the clock, Ramunas Siskauskas missed two shots from the line at a time when his team were a point ahead. Olympiacos roared to the other end of the court and managed to get the ball to Printezis, who made the shot that made history. Olympiacos have also lost in the Euroleague Final on four occasions, in 1993/94, 1994/95, 2009/10 and recently in 2014/15. The club has appeared in the Final Four on 11 occasions and have reached the quarter finals on 10 consecutive occasions between 2006 and 2015, a record which they share with Barcelona. The club won the 2013 Intercontinental Cup after a two-legged victory over Pinheiros Sky from Brazil. A 70-81 win and a 86-69 triumph was more than enough to see Olympiacos hailed as Intercontinental Champions. The club was also runner-up in the 1997 McDonalds Championship, losing 104-78 in the final to a Michael Jordan inspired Chicago Bulls. The 1996/97 Euroleague success was enough to help Olympiacos clinch the Triple Crown, making them the first Greek team to achieve this feat. This gave Olympiacos fans something to cheer about over their bitter rivals Panathinaikos. The previous season Panathinaikos had become the first Greek team to win the Euroleague so to match, and then technically better their achievements, in the following season was a massive accolade for Olympiacos fans. The two clubs have a huge rivalry that is known across the world and outside of the NBA, this is a match-up seen as one of the most important in basketball. While there isn’t much peace and friendship on show when Olympiacos play Panathianikos, there is always peace and friendship when Olympiacos play at home. This is because Olympiacos play in the Peace and Friendship Stadium, found in Faliro in Piraeus, and which stands opposite Olympiacos FC’s football stadium. The arena was opened in 1985 and it has been the home of the basketball team since 1991. The capacity was once 17,000, and although this was reduced to just over 12,000 for the 2004 Olympic Games, the current capacity is just under 15,000. Olympiacos have faced NBA opposition on three occasions and they have a 0-3 record. Back in October of 1997, Olympiacos became the first Greek side to play an NBA side, losing to the Chicago Bulls by a score of 78-84 in the McDonalds Championship in Paris. In 2009, Olympiacos played two games on tour in the States, losing 107-89 to the San Antonio Spurs in Texas and then losing 111-94 to the Cleveland Cavaliers in Cleveland, Ohio. There have been a number of notable players in Olympiacos history. 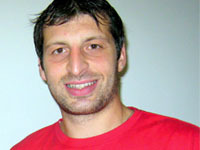 Panagiotis Fasoulas, Dušan Ivković and Žarko Paspalj have all been candidates for the FIBA Hall of Fame while Dino Rada and Alexander Volkov have been listed as two of the 50 Greatest FIBA players. Milos Teodosic and Vasiliss Spanoulis have both been named Euroleague MVPs and one of the best-loved players in the club’s history is Theodoros Papaloukas. The current squad of Olympiacos players includes Spanoulis and the historic match winner from 2011/12 Georgios Printezis, so there are more than enough modern day heroes for Olympiacos fans to adore and cherish.